Thai Prime Minister Prayut Chan-o-cha is committed to ensure the success of the 3rd Mekong River Commission Summit for the joint interests of Mekong Member Countries. The commitment was expressed toward Prime Minister Hun Sen in a Cambodia-Thailand bilateral meeting in Siem Reap on Thursday. 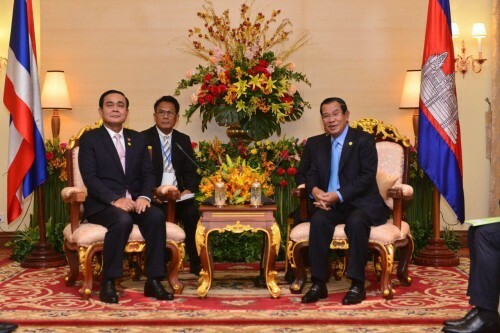 Prayut said he frequently met with Cambodian Prime Minister Hun Sen, which reflects the close cooperation and relation of both nations.